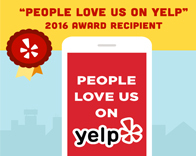 For over 15 years, Pest Innovations has been providing the city of Rancho Cucamonga with pest control services. Our company offers the latest in pest control techniques and we treat a variety of pest problems such as bed bugs, cockroaches, ants, termites, rodents and birds. Our methods include heat treatments, low-to-no toxicity pesticide application, spot treatments, and fumigation. We also believe in educating our clients about the benefits of integrated pest management (I.P.M) to avoid unnecessary pesticide application whenever possible. 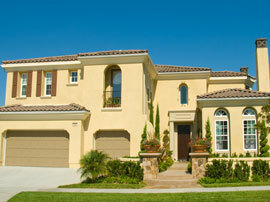 Rancho Cucamonga’s warm climate is ideal for many standard pests, termites, rodents and birds. Due to these ideal conditions, one-time services often provide only a temporary solution. This is why we recommend our regular pest maintenance program. We want to keep you pest-free year-round. Our services include monthly, bi-monthly and quarterly treatment options. We will work with you to find the best method to suite your needs and budget. For more information about our residential and commercial treatments in Rancho Cucamonga, call us today. We can customize a regularly scheduled pest control service based on your needs, property size and budget. We offer monthly, bi-weekly and weekly services in Rancho Cucamonga. We also offer bi-monthly and quarterly pest control services. If you want to stop seeing bugs, call Pest Innovations today! We are specially licensed to remove gophers in agricultural, commercial and residential settings in and around Rancho Cucamonga. Depending on the location of the infestation, we use specially formulated baits or a device that asphyxiates the gophers within their burrows. Pest Innovations offers free termite inspections to home owners, HOAs, property management and business owners in Rancho Cucamonga. There is a nominal fee for escrow termite reports in San Bernardino county. We also offer yearly termite treatment control services to help keep termites at bay. For more information about our termite treatments, call today! Very helpful and honest about quotes. He listened to my concerns, and offered good advice that will save me money. He gave some good suggestions for detecting the bugs myself and if I do find evidence of an infestation, he'll be the first person I call. George was such a nice guy and answered all my questions about my bed bugs. It was clear that he was giving me advice to save me money, and his was the lowest rate by far out of all the places I researched. He also came the next day, on a Saturday morning, which was so important to me or anyone with a new bed bug problem. I'll use him for a follow up, cannot wait for my new little roommates to die. George and I have worked together since 1998. I have requested him with every management company that I was apart of. Him and his employees have a great attitude and are thorough. It's been a true pleasure to work with George. 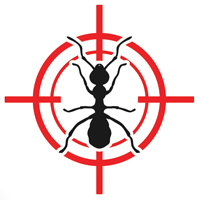 Pest Innovations' company treats a wide number of pests, including ants, roaches, mosquitoes, termites, and rodents. They are also experienced in treating bed bugs. Have worked on a daily basis with this company for a while now and I am very satisfied. Follow up treatments are scheduled in a timely manner and is always consistent. The professional staff, immediate responses, and scheduled appointments make it a pleasure to work with. We have been working with George for nearly two years now. George is one of the most honest vendors I ever worked with. He is reasonably priced, and has great customer service! I know we can always count on George!